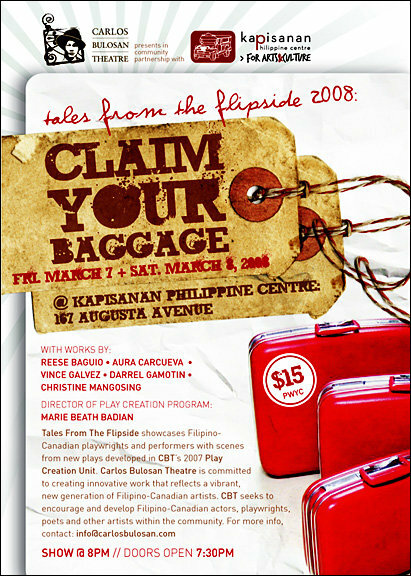 Tales from the Flipside showcases Filipino-Canadian playwrights and performers with scenes from new plays developed in CBT’s Play Creation Unit. CBT is committed to creating innovative work that reflects a vibrant, new generation of Filipino-Canadian artists. CBT seeks to encourage and develop Filipino-Canadian actors, playwrights, poets and other artists within the community.